The most telling bit of info from this permit is that the trailer will be onsite for about 18 months. It was just recently given “Issued” status on August 20th, so assuming they get the trailer finished by mid-September, we’re looking at an April 2015 completion date for whatever project this trailer will serve. With Cabana Bay and Diagon Alley both set to open next spring/summer, this trailer is clearly not for either of those projects, which makes the Jurassic Park expansion the most likely choice. Not only that, but the trailer is for the company KHS&S, a design-assist firm specializing in themed entertainment construction. One of their biggest past jobs was Jurassic Park at Islands of Adventure, so it wouldn’t be too surprising if they were taking the helm for the expansion as well. 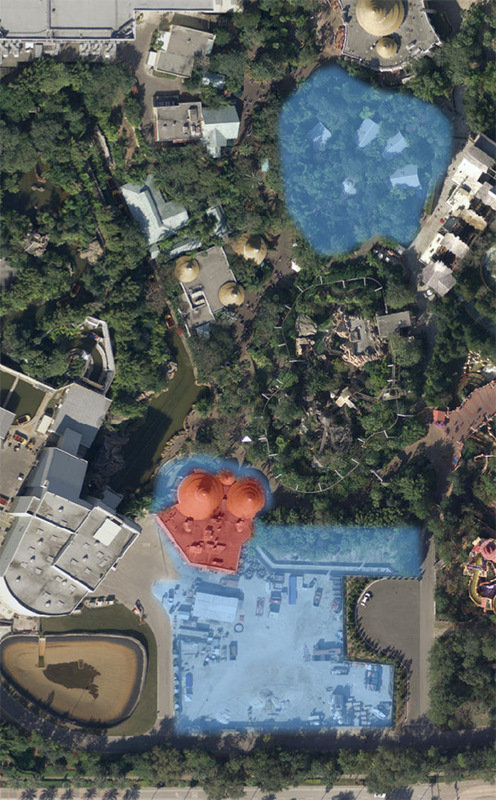 The blue highlights on the map above represent the rumored area(s) for the new attraction(s). 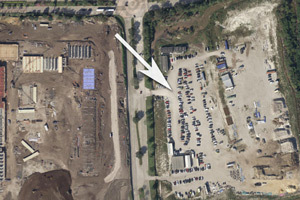 Thunder Falls Terrace, highlighted in red, is rumored to be on its way out to make way for this new expansion. With an 18 month construction timeline for this project, we should start seeing more permits and more work starting very soon, so be sure to check back for more updates. 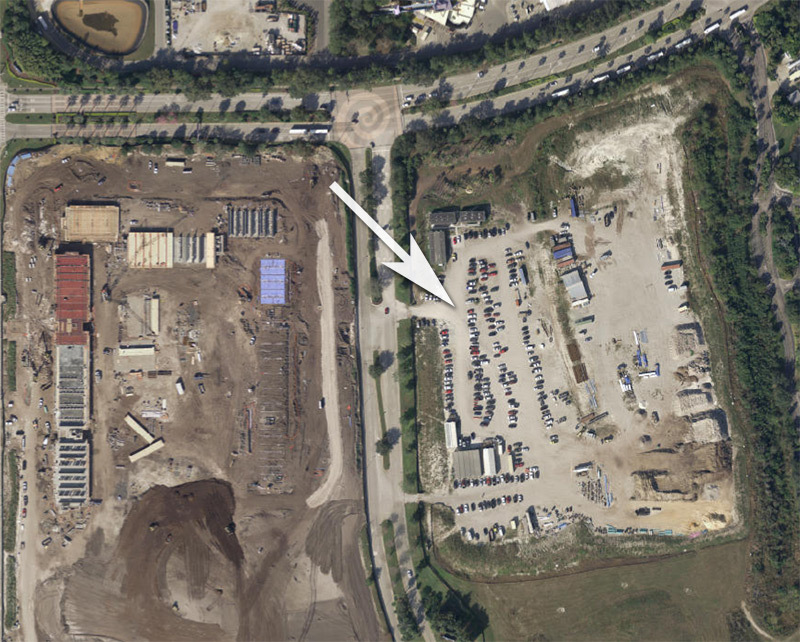 ‹ previous	New Venues Coming to CityWalk at Universal Orlando next ›	Busch Gardens Tampa Project Teel – 2019 Coaster?